Looking to buy a used Infiniti for sale in Montreal? At Spinelli Infiniti in Pointe-Claire, you'll find the vehicle that not only meets your needs, but also fits your budget! 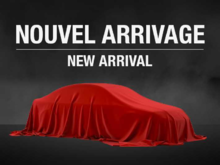 Whether you need a compact car or an SUV, you are sure to find the vehicle you want on our lot, and it will be at the lowest price to be found near Brossard and the South Shore! When the time comes to buy a used car, vehicle quality is an essential element to consider. And by purchasing a used Infiniti near Laval, you can be sure you are buying a car with proven reliability that will serve you well for years to come. Dreaming of a new vehicle but the price tag is scaring you away? Then go for one of our Infiniti demonstrators! Not only will you enjoy a vehicle that is almost new, but you'll be able to save thousands on the purchase price! Once here, you'll find many vehicles of various model-years at the region's lowest prices. Whether you are looking for a used Q50, a pre-owned QX50, a used G37 Coupe or a used Q60 Coupe, you'll find the used Infiniti in Montreal that suits you, and for much less than you ever thought possible. Furthermore, if you are looking for a roomy and stylish utility vehicle, take a look at our used QX70 and our pre-owned QX80; it will be love at first sight! At Spinelli Infiniti, you can also take advantage of various beneficial financing products when you purchase a used Infiniti near Laval. In fact, if you or a family member already own an Infiniti vehicle, you might qualify for a rate that is lower by up to 2% or even a loyalty bonus of up to $2000. Also, check out our various current Infiniti promotions to save even more on your purchase! For more information about our inventory of used Infiniti for sale in Montreal, visit our website or come see us today at Spinelli Infiniti near Brossard and the South Shore!